Paris (AFP) - Olympic track cycling champion Peter Kennaugh said Friday that he is taking a break from the sport to cope with "ongoing mental health issues". The 29-year-old Kennaugh won gold in the team pursuit at London 2012, and spent the majority of his road career riding for Team Sky before he joined Peter Sagan's Bora-Hansgrohe outfit last year. "I would like to thank everyone at Bora-Hansgrohe for their support and understanding to allow me to recover away from the sport," Kennaugh said in a team statement. "I wish the team the best of luck for the rest of the season." 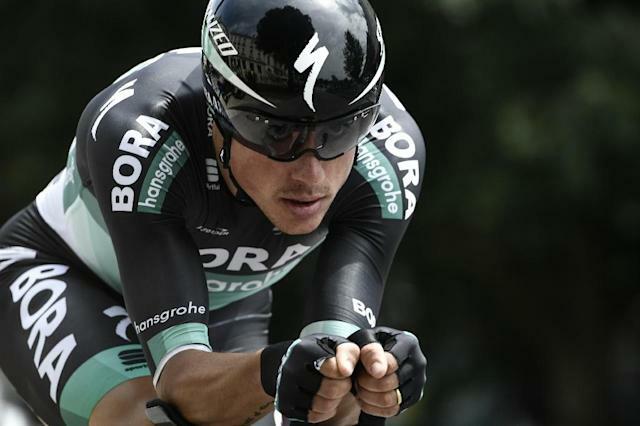 Bora pledged its full support for the Isle of Man-born cyclist, a gold medallist at the London Games alongside teammates Geraint Thomas, Ed Clancy and Steven Burke. "The team supports Peter in his decision and have agreed that this is the best course of action to ensure he can return to full health in the near future," Bora said. "We wish him well in his recovery process. We look forward to him making a full return to professional cycling in the future," added team manager Ralph Denk. Kennaugh was also part of the Sky team that helped Chris Froome win the Tour de France in 2013 and 2015.